BRIDGETOWN, Barbados - The ministry of health in Barbados has assured the public that there are no suspected cases of the zika virus in the Caribbean to date. The ministry, however, remains in communication with regional and international stakeholders in order to ensure a timely and effective public health response, if necessary. In a statement released on Thursday, the ministry disclosed that the mosquito-borne zika virus had been confirmed in Brazil, the first report in the continental platform of the Americas. The Pan American Health Organisation (PAHO)/World Health Organisation (WHO) first released an epidemiological alert on May 7 advising that public health authorities in Brazil were investigating a possible transmission of the virus in the northeast of the country. On May 15, the Brazil International Relations National Focal Point confirmed positive test results for the infection. The virus, transmitted by the Aedes aegypti mosquito, is named after the Zika Forest in Uganda and was first detected in human samples in Nigeria in 1968. 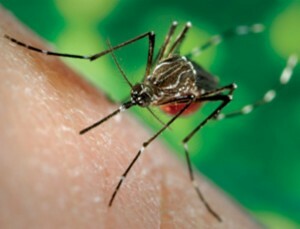 Symptoms of the disease may appear within three to 12 days after being bitten by an infected mosquito and may include fever, headache, non-contagious red eye, muscle pain, joint pain or rash. Less frequently, there is eye pain or diarrhea. Symptoms may last four days to a week. There is no vaccine or specific treatment for zika. Treatment is symptomatic and may include rest, fluids and medication for fever and pain. Aspirin should be avoided. The ministry advised the public to continue its vigilance against the Aedes aegypti mosquito by destroying all possible breeding sites on their premises. It noted that the reduction of vector density is fundamental to preventing transmission of mosquito-borne diseases.